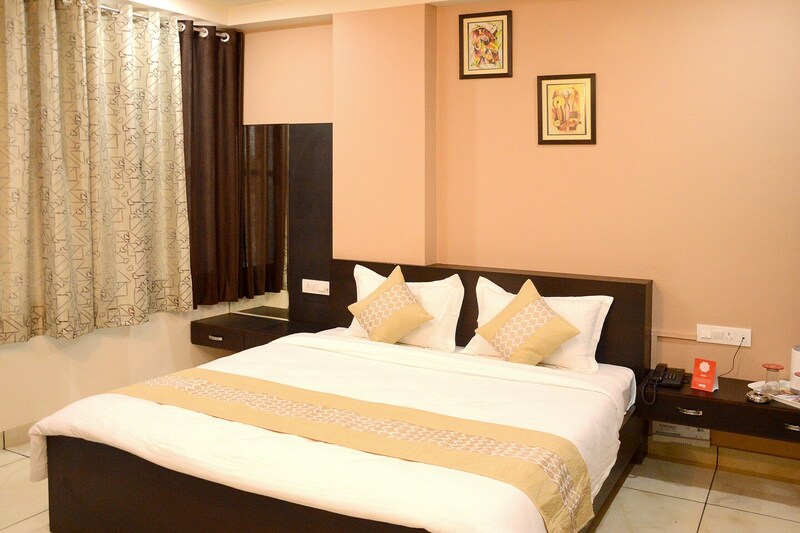 Hotel Jenus is a popular name among the travelers visiting Jaipur and looking for comfortable accommodation facilities without feeling a pinch in the pocket. All rooms have been painted in warm colors such as yellow and orange. The rooms are well-furnished and a lot of wood work is used in the interior decor of the room. The rooms are well-lit and paintings have been used to decorate the walls. The additional facilities provided by the hotel are free Wi-Fi, a constant power backup source, card payment in all forms, laundry provisions, an elevator facility, and CCTV cameras. The in-house facilities comprise a common dining area and a restaurant. There is a common lounging area, too which can be used by the guests to relax and rejuvenate after a long time at work.